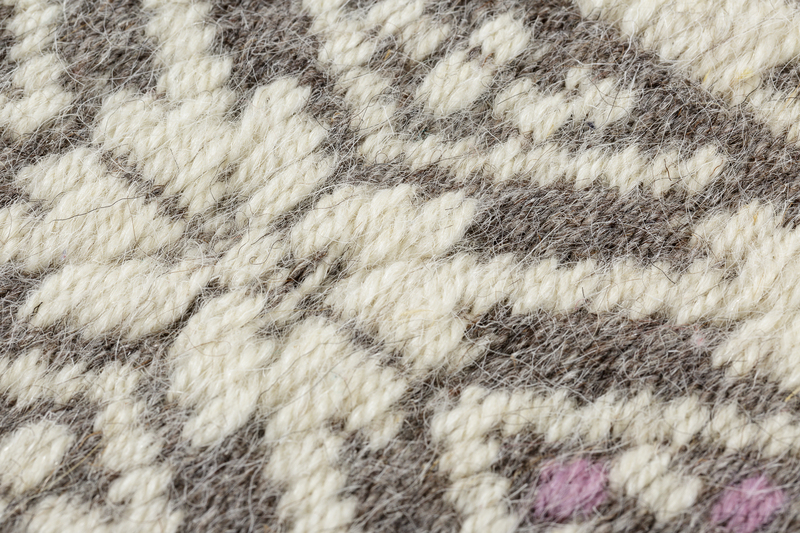 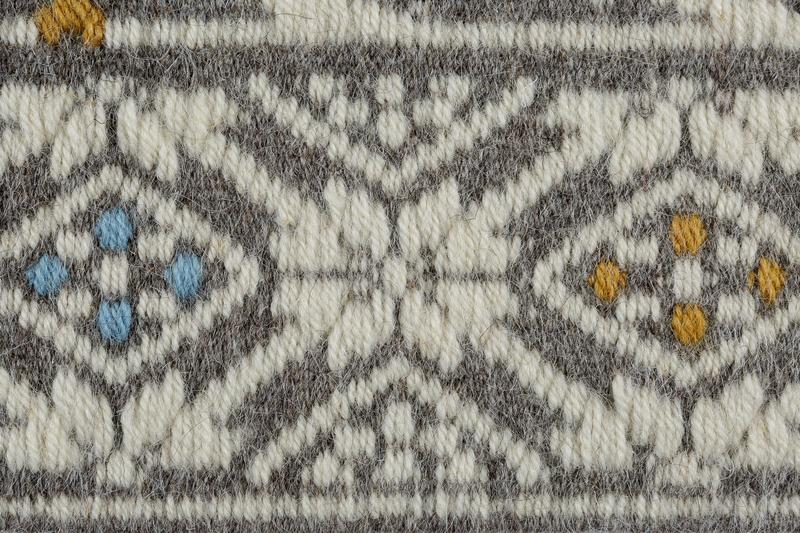 The rich decoration of this carpet in Sardinian wool revives the motif of the local textile tradition, sa cannuchedda, with the elegant stylised figures which form part of complex geometric compositions. 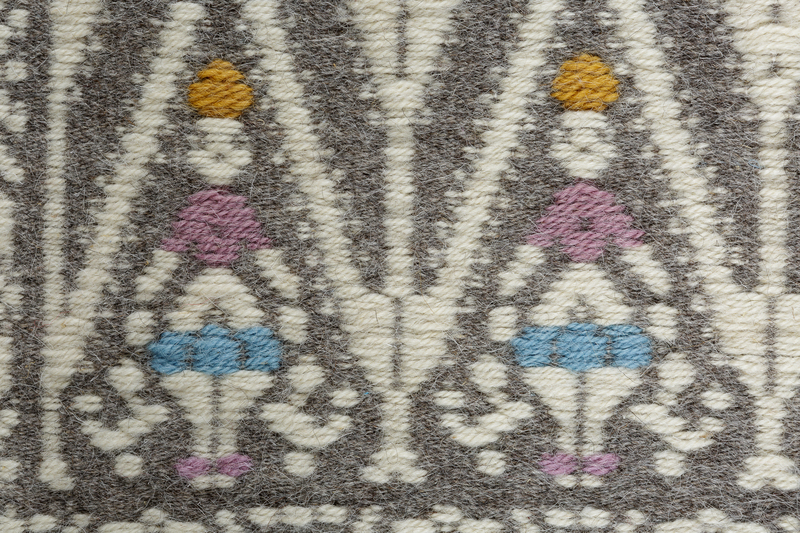 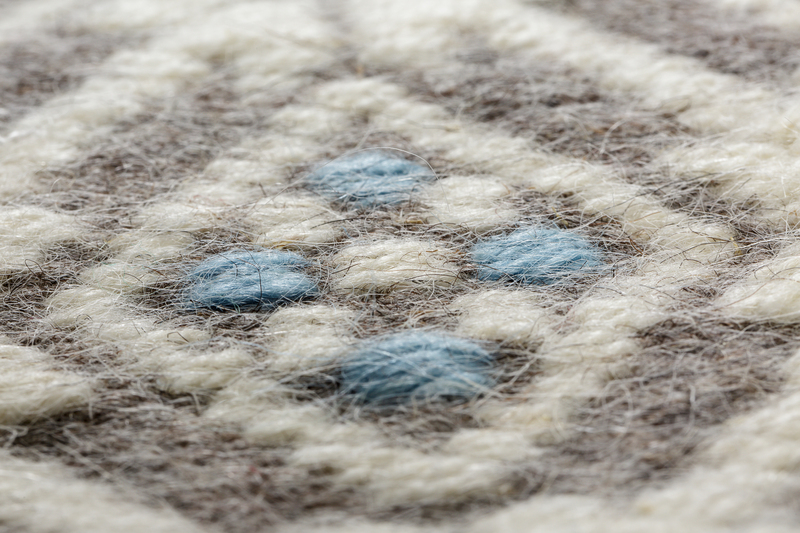 Featuring sensitive colour combinations and fine yarns, the carpet is handcrafted according to the local un indente flat weaving technique. 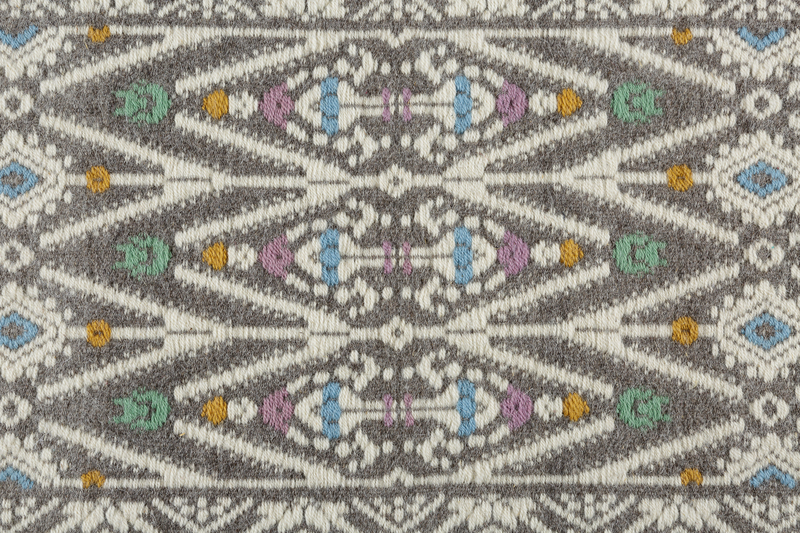 Artigiano: Arte Tessile by Sanna Anna Maria & Co.